Oh, I'm sorry, did I say Maserati GranTurismo MC? 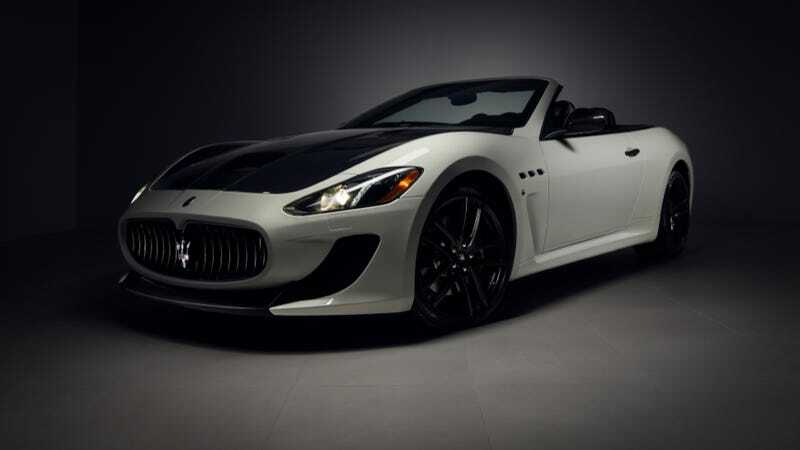 What I meant to say was Maserati GranTurismo MC Cabriolet with Novitec Supersport Package. And not only is that a wonderful mouthful of words, it's also a wonderful handful of power. 646 horsepower, to be precise, thanks to a supercharger and two watercooled intercoolers, according to the Novitec catalogue. Some might say that strapping a supercharger to a Maserati is blasphemy, but I don't care. It looks good, and it's got more power, which is also good. And you can whine about more power all day long, but few will heed your call. Photo credit Evan Wawrzyniak. Used with permission. For more of his work, check out the website of his dealership, RDS Automotive Group. For a big desktop version, click here.